If you are going through a divorce, you should consult with a spousal support lawyer to learn about your legal options regarding alimony. A divorce can be an emotional and complex topic. It often takes months or more than a year to go through the legal process. You may have questions about whether you will owe spousal support or if you can obtain spousal support from your ex-partner. Contact a spousal support lawyer at Liebenhaut Law to learn more. Spousal support, often called “alimony,” is a payment that may be paid by one spouse to another before, during, or after a divorce. Spousal support ensures that one spouse does not have an unfair economic burden because of separation. Often, the spouse that collects spousal support earns less money than the other partner. Or they may not earn wages at all. The court may issue an order for alimony after it has equitably distributed all of the other property, assets, debts, and liabilities of the spouses. Once those allocations have been made, the court will consider financial inequity between the spouses. 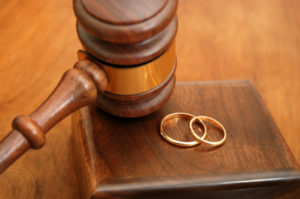 The goal of the court is to make the situations of both spouses equal after divorce. If you do not want the court to make a decision about spousal support, you and your spouse can make an agreement regarding alimony. Sometimes this decision is made in a premarital agreement, such as a prenup, or an agreement made during the marriage, such as a postnup. However, if you don’t already have such an agreement, you and your spouse can reach a mutually beneficial decision on the issue of alimony before going to court. By working with a spousal support attorney, you can ensure that your spousal support agreement is valid and fair to both parties. Neither party should be taken advantage of. Whether you are seeking spousal support or think you may have to pay your ex-partner, you should work with a spousal support lawyer to draft and negotiate an agreement. Services of both parties in child rearing, homemaking, and career building of the other partner. While divorce is always no-fault in Florida, the court will consider fault when determining alimony. If one spouse cheated or did something that reasonably caused the end of the relationship, then the court may order that spouse to pay alimony to the other. The court will consider a multitude of factors when establishing alimony. A spousal support lawyer can guide you through this process and help you gather information necessary to provide the court. If your spouse was at fault in your divorce, then you should work with a divorce attorney to secure a fair outcome at your alimony hearing. There are many different types of alimony you can establish. You can develop an agreement that addresses each of these types of alimony. Or the court may issue an order for one person to pay these types of alimony. Rehabilitative Alimony – May be awarded for a limited period of time to help one spouse develop their skills and financial independence. This type of alimony is typically paid monthly or semi-monthly. Bridge-the-Gap Alimony – Helps one spouse transition from a marriage to single life. It may be used for single purchase items, such as a car or house, or limited expenses. This type of alimony is typically paid in a lump sum amount or over a short period of time. Durational Alimony – Awarded for a specific period of time. This alimony may be paid monthly or semi-monthly. Lump-Sum Alimony – Made in the form of a single payment and may be to compensate one spouse for inequitable distribution of assets, property, debts, or liabilities. Permanent Alimony – The traditional alimony that people think of when they consider making payments to a spouse for the rest of their lives or until they get remarried. These payments usually take place monthly or semi-monthly. You may be able to collect one or more types of alimony if you are going through a divorce. Or, your ex-partner may have asked you for one of these types of alimony. They can be complex. Moreover, you likely have many questions about your obligations and rights while receiving and paying spousal support. Contact a spousal support lawyer for more information about alimony. Are Florida Alimony Calculators Accurate? Some spousal support lawyers may advertise alimony calculators. However, there is no way to know how much the court will order for spousal support. The court considers many factors when determining how much alimony to award in a divorce. Further, alimony considerations must evaluate different types of alimony, debts, liabilities, assets, and more. There is no way that an online alimony calculator can accurately determine exactly how much alimony you can receive or how much you will have to pay. However, a spousal support lawyer may be able to estimate your payments during a consultation. An attorney would have to know financial information for both you and your ex-partner in order to properly estimate the amount of alimony that you may have to pay or be able to collect. Alimony can be a complex topic, with many factors to consider. If you are going through a divorce and have questions about alimony, contact Liebenhaut Law for more information.